BEGINNERS OBEDIENCE COURSE - Please call or email to be added to the waiting list for a future course. See Group Training Classes page for further details. INTERMEDIATE OBEDIENCE COURSE - Please call or email to be added to the waiting list for a future course. See Group Training Classes page for further details. ADVANCED OBEDIENCE COURSE - In order to enroll onto the Advanced Obedience Course you must have first successfully attended and passed the Intermediate Obedience Course. Please call or email for more information. HEELWORK TO MUSIC COURSE - Please call or email to join the waiting list for a future course. Please see Group Training Classes page for more information. AGILITY COURSE - Please call or email to join the waiting list for a future course. See Group Training Classes page for further details. FLYBALL COURSE - Please call or email to join the waiting list for a future course. See Group Training Classes page for further details. DUAL HANDLING COURSE - Please call or email to join the waiting list for a future course. See Group Training Classes page for further details. BEGINNERS OBEDIENCE COURSE - Please call or email to join the waiting list for a future course. See Group Training Classes page for further details. INTERMEDIATE OBEDIENCE COURSE - Please call or email to join the waiting list for a future course. See Group Training Classes page for further details. 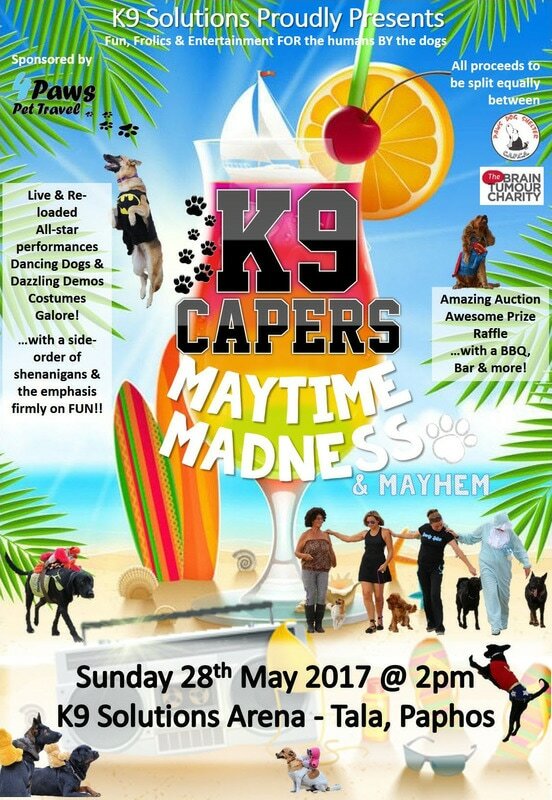 K9 SOLUTIONS DISPLAY TEAM - My team of rescue, cross breed and pedigree dogs perform a range of displays from heelwork to music, circus tricks, comedy acts, agility displays & obedience demonstrations. ​Our next Charity Dog Show will be on May 28th 2017. Come on down and enjoy the show.